The GT4 Feather Shuttlecock is the entry level feather shuttle from Carlton that is an excellent cost saving alternative to the other models in the series. Perfect for recreational or club use, the Carlton GT4 Feather Shuttlecock offers excellent toughness and is made using premium density cork and high grade duck feather for unswerving flight and trajectory. On test, the Carlton GT4 Feather Shuttlecock produces a consistent and accurate flight and superb consistent performance time and again. 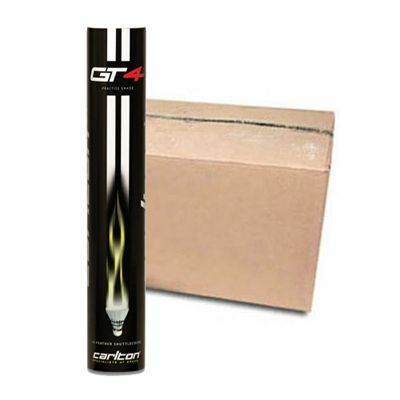 for submitting product review about Carlton GT4 - Feather Shuttlecock.